Colorado Gov. 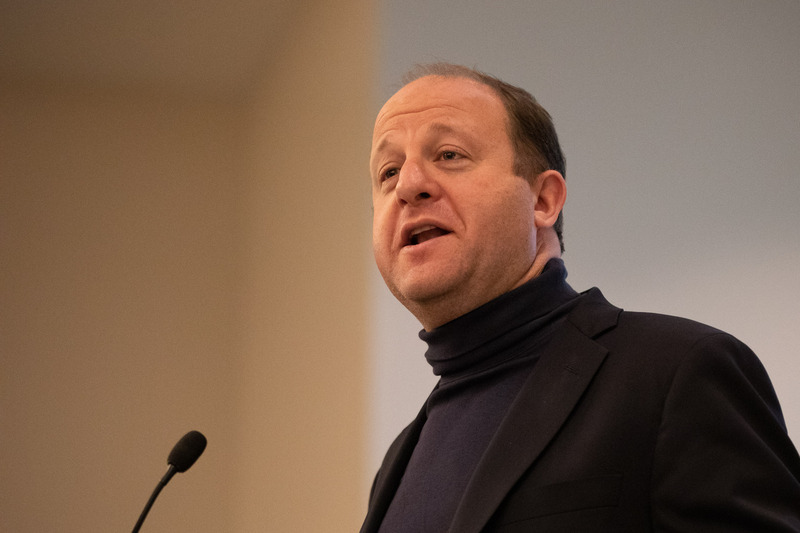 Jared Polis speaking at the Bicycle Colorado Moving Forward Conference Feb. 7, 2019. Photo: Andy Bosselman, Streetsblog. Sadik-Khan helped the Big Apple transform its streets from dangerous, car-clogged parking lots into great places for walking, biking, transit and hanging out. But those upgrades required narrowing traffic lanes, removing parking spaces and even closing streets to cars. And Mayor Bloomberg, who she served, had to overcome — or ignore — ferocious opposition from neighborhood groups and the press as these changes were implemented. Sadik-Khan gave her talk to a room of roughly 200, which included many civic leaders. She praised Denver’s investment in a regional rail network, but challenged the officials in the room to do even more. The governor and mayor offered some good talking points, but neither indicated that they have the stomach for the backlash Bloomberg endured as Sadik-Khan transformed how New Yorkers get around. 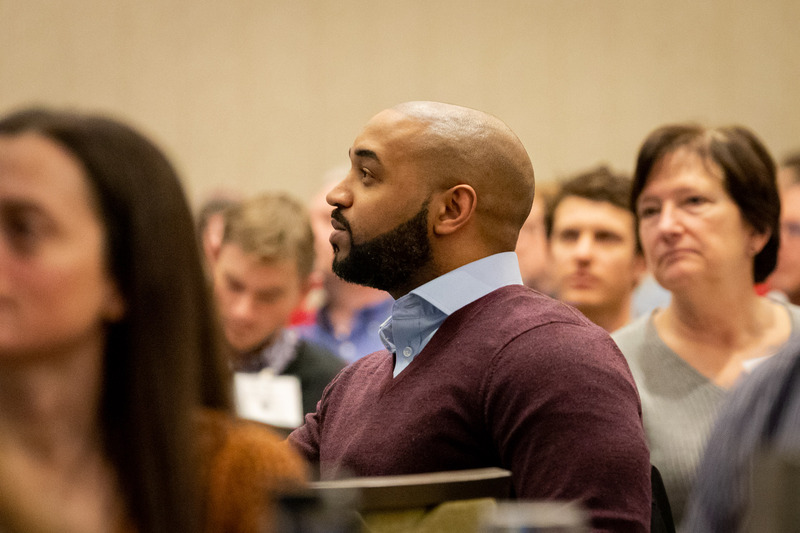 Below are photos from the talks of the Governor, Mayor and Sadik-Khan followed by quotes, many from Bicycle Colorado’s tweets during the conference. Gov. Jared Polis. Photo: Andy Bosselman, Streetsblog. Denver Mayor Michael Hancock. Photo: Andy Bosselman, Streetsblog. 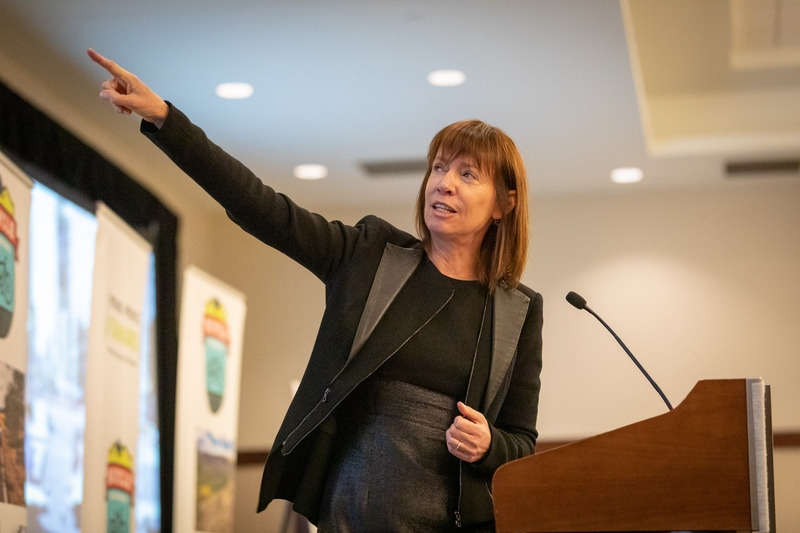 Janette Sadik-Khan, keynote speaker at the Bicycle Colorado Moving People Forward conference. Photo: Andy Bosselman, Streetsblog Denver. 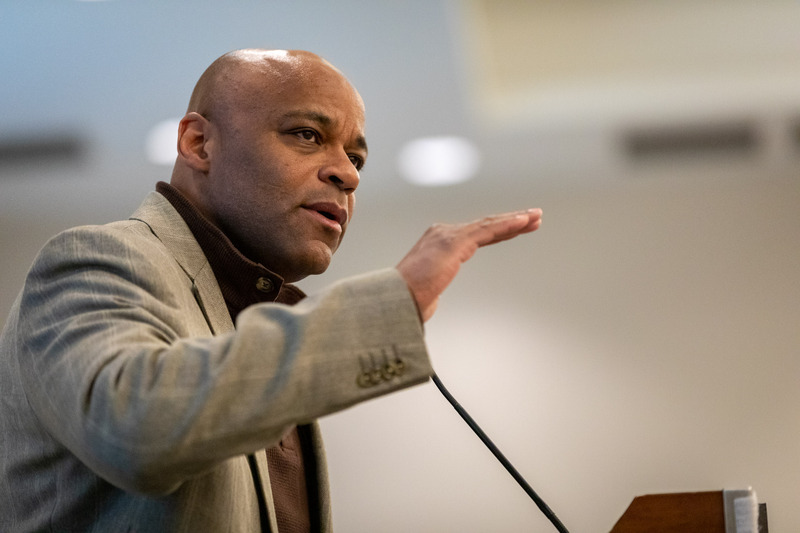 Eulois Cleckley, executive director of Denver’s Department of Public Works, is in charge of implementing many of the city’s walking, biking and transit improvements. Photo: Andy Bosselman, Streetsblog Denver. I wish DPW would realize that park avenue shares many of the same features as broadway in NYC making it a good candidate for closure to car traffic. The diagonal street interrupts the grid, creating many dangerous and inefficient 5 way intersections. Closing down the street would likely make the grid run better and actually decrease congestion. Mayor Hancock has mastered the neoliberal art of virtue signaling the politically correct responses. But he’s truly just a shill for developers that currently control Denver. In his reign, Denver has barely maintained existing bicycle infrastructure let alone move ahead. Newly elected and independently wealthy, Governor Polis could stand apart, however so far he seemly is not inclined to do so. Probably already worried about re-election. Mayor Bloomberg had the advantage of being a massively wealthy Independent, not beholden to anyone or any group.